Coffee served per $37,50 urn which serves 10-12 people, and includes bottomless refills. Gourmet deli sandwich or wrap with potato chips, fresh fruit, and cookies. Continental Breakfast Platter: Assortment of bagels with cream cheese, jelly, and butter, muffins,and sliced fresh fruits. Includes bottomless regular and decaf coffee, tea and orange juice. Standard sized flipchart, including paper and markers. A post-it flipchart can be rented at a rate of $55. Our conference room in Flatiron offers 204 square feet of space in one of NYC’s hottest and most happening neighborhoods. The modern and corporate space can host a group of up to 8 people, seated around the table. It is very suitable for any type of meeting, conference, seminar, presentation or something else, if you want to discuss important matters with your partners or brainstorm with your new project team. The atmosphere is extremely comfortable, yet the professional vibe is still the point of focus. 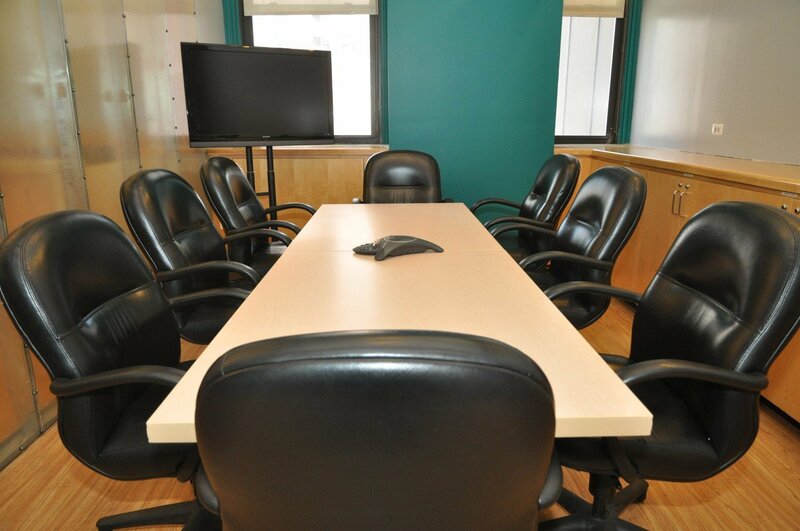 We happily provide you with plenty of extras, to make sure your time in this NYC conference room is an absolute blast. Make use of our microphone, flipchart, projector, screen, whiteboard, pens, paper, speaker’s desk, TV screen and extra chairs + tables, at some additional costs. We can also gladly help you arranging lunch, breakfast, drinks and other catering, please contact us for more information regarding costs and possibilities. Located on 6th Avenue, you are only a block away from the Flatiron Building, Madison Square Park, and it is only a short stroll from the High Line Park. 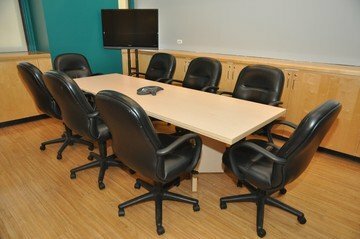 Our conference room is one of Flatiron’s and Chelsea’s best kept secrets! Let our expert group of event professionals help you get your event off on time, on budget, right alongside the best of what Flatiron and Chelsea have to offer. If you have anyone visiting from out of the city, this location will most certainly be appreciated. They could be accommodated at the Ace Hotel or the Heritage Hotel, which are both located within walking distance from the venue. 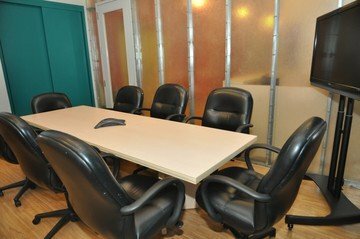 You can reach the NYC conference room with plenty of public transport methods, for instance subway lines 1, 2, A, C, E, N, Q, R and W, after which you will only need to walk shortly to reach the venue. Space was clean. We arrived a little early and they were more than accomodating. Space is exactly as advertised. Thanks!